Hundreds of students from Sri Lanka could be here illegally, while officials do what they can to investigate claims of a major scam involving student visa applications from Sri Lanka. Inquiries led officials to conclude a Sri Lankan based finance company was fraudulently creating documentation to help students meet the criteria of having $15,000 in the bank. Immigration Minister Iain-Lees Galloway said officials did not yet know how many fraudulent applications may have slipped through the net. There could potentially be hundreds of students here illegally, Mr Lees-Galloway said. However, he said officials were somewhat hamstrung in their ability to establish the authenticity of thousands of past applications. They were going through 895 applications that came from Sri Lanka through the Mumbai office, to identify which ones contained information from the “fraudulent” finance company, the minister said. 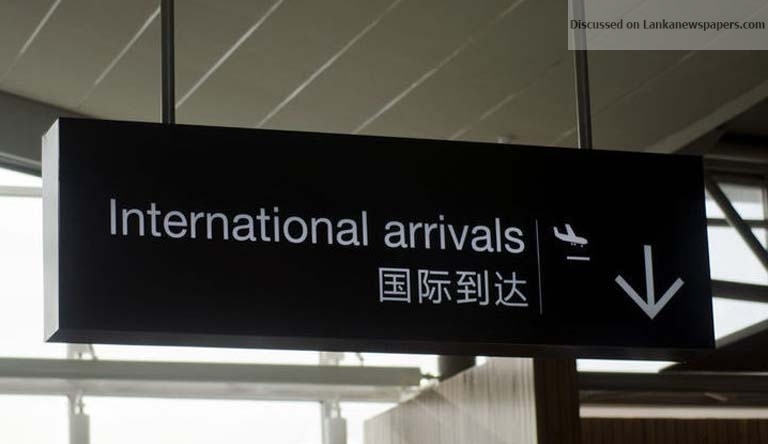 The New Zealand government would not, however, be challenging any visas other than the original 88 when the fraud was discovered, Mr Lees-Galloway said. “The challenge that Immigration New Zealand faces with trying to do this retrospectively is they rely on the finance company to provide the bona fide information when they’re assessing an application,” he said. Immigration New Zealand no longer dealt with that company, he said. Acting Prime Minister Winston Peters said he and the New Zealand public expected the immigration system to be robust, and for the minister and officials to uphold those expectations. But he accepted there could be significant numbers involved in this scam. Meanwhile, the National Party wants to know why hundreds of past visas that have been granted to Sri Lankan students won’t be reviewed. The papers said a number of New Zealand educational providers had been affected and they had been told about what had happened and warned about the impact of student numbers in the future. There was also an allegation “students paid an additional fee to secure the documentation” which was under further investigation. From 2015 to 2017 there were about 5000 student visa applications from Sri Lanka of which about 3800 were approved. The documents do not make it clear how long officials think the scam has been going on. According to Mr Woodhouse, up to half of Sri Lankan applicants could have used the company “fraudulently”, and said that should be enough for officials to find how widespread any fraud was. They were arriving in New Zealand ripe for exploitation as they had no money to support themselves, he said. It was “extraordinary” that the minister admitted no work had been done to review past applications.